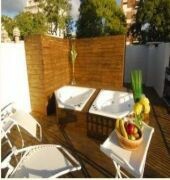 The design hotel in Palermo Soho has a French style and offers 7 exclusive suites. 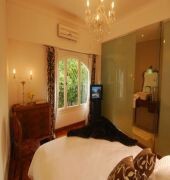 The hotel has grounds ideal for guests wanting to get in touch with nature, a terrace to relax and connect with Buenos Aires and a reading room with audio entertainment. 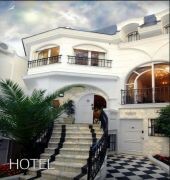 Renovated in 2008, the air-conditioned city hotel also provides a lobby, hotel safe, lift access, TV lounge, breakfast room, WLAN Internet access and a laundry service (fees apply).All rooms are equipped with an en suite bathroom with shower and hairdryer, a king-size bed and cable TV. Other in-room amenities include Internet access, a safe, minibar, individually regulated air conditioning and central heating.The charming city hotel is located in the heart of Palermo, a place where art and style meet. Plaza Serrano is around a 20-minute walk from the hotel, the MALBA museum is 1.5 km away and the Patio Bullrich shopping centre is approximately 30 minutes on public transport. Nearby airports include Jorge Newbery Airport (8 km) and Ezeiza Ministro Pistarini Airport (30 km).